FAIRBANKS — Lavelle's Taphouse is unassuming from the street, tucked inside a small building on Second Avenue. It serves mostly beer, a few wines. But the Taphouse holds a major distinction: It's the first alcohol-only business to open downtown in years. "I knew it was going to be hard, but I didn't know it was going to be that hard," Arlette Eagle-Lavelle said of opening her business in January 2016. Because no food is for sale, Eagle-Lavelle had to spring for a full liquor license, instead of one just for beer and wine. Before opening, she had a long meeting with the city council, where she became the first liquor establishment to be approved downtown in at least a decade, and maybe longer, the City of Fairbanks said. 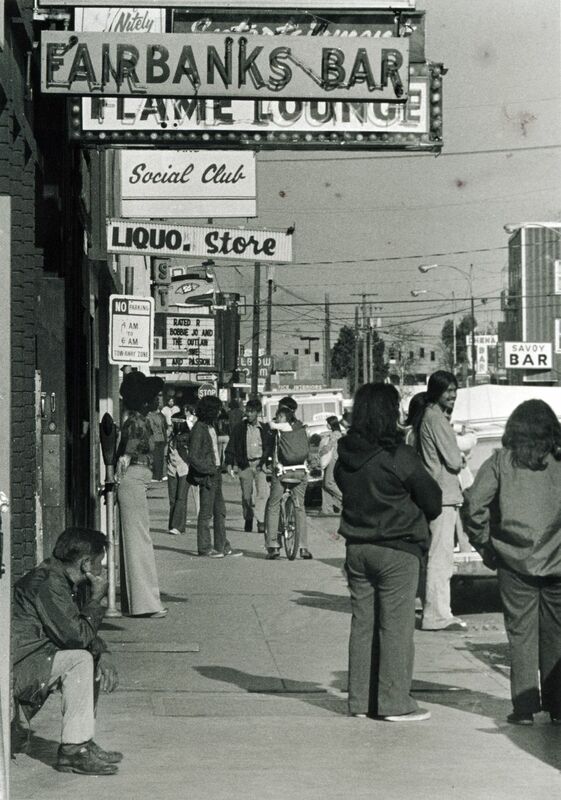 During the pipeline era, downtown was home to dozens of bars — too many, the city decided, and eventually most of them were driven out. Along with the exodus, a statewide recession hit Alaska in the 1980s. Businesses drifted away from downtown. For decades, the city's core was in a sad state. Now it's showing signs of new life. In the past few years, a wave of businesses has started filling out the area, some moving into properties that had been vacant for years. On Second Avenue, the change is visible. 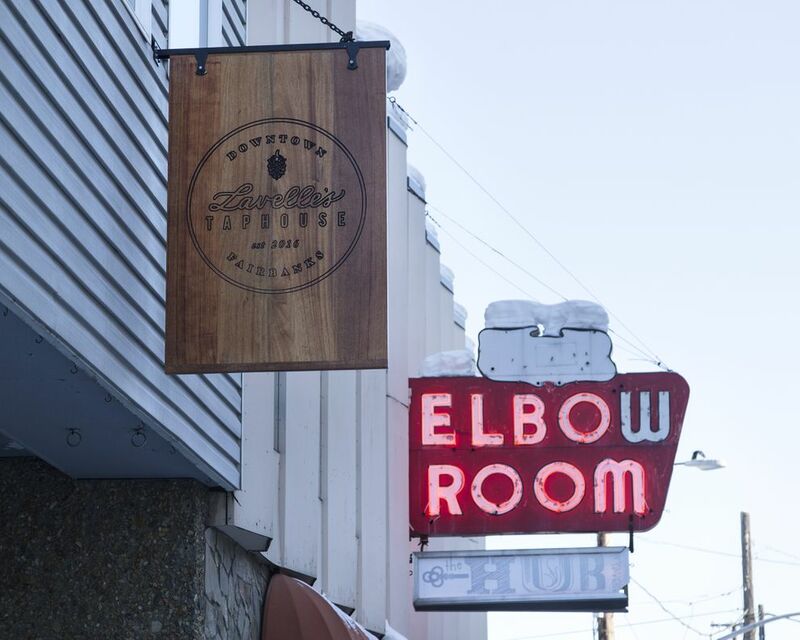 Along with Lavelle's Taphouse, there's Venue, a coffee shop, art gallery and event space; The Hub, a shared working space akin to Anchorage's Boardroom; Lost & Found Records, which sells vinyl; The Crepery, a crepe shop that sometimes overflows with customers; and Bad Mother, a vintage clothing shop that opened in October. 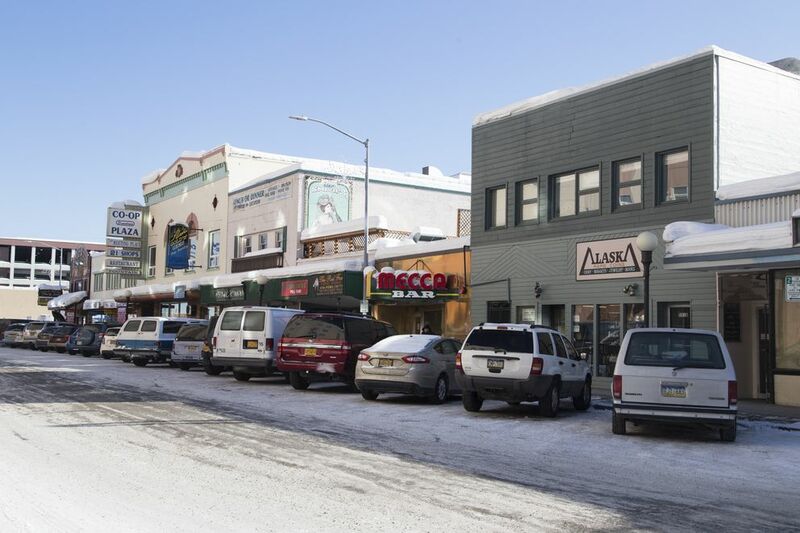 The historic Co-Op Plaza, which has its main entrance on Second Avenue, is fully leased for the first time in more than a decade, according to David van den Berg, executive director of the Downtown Association of Fairbanks, a nonprofit that promotes downtown development. Before the Taphouse moved in, the space was vacant for about four years, Eagle-Lavelle said. The spot is right for her — down the street is the popular fine-dining restaurant Lavelle's, run by Eagle-Lavelle's mother and stepfather. But the Taphouse also sits in the shadows of the vacant Polaris Building, the tallest building in Fairbanks. Businesses and city officials see the decrepit building as an obstacle to economic development; prime real estate is being occupied by a hazardous eyesore, they say. Tourists who disembark from buses quickly walk in the opposite direction of the looming structure, Eagle-Lavelle says. She believes her business would fare better if the Polaris Building was torn down. Overall, Eagle-Lavelle has been happily surprised by the number of regulars they have already established at the Taphouse. But, there are still challenges to drawing people downtown. Parking — and lack thereof — comes up often. Businesses in the area say it's an overplayed anxiety. Eagle-Lavelle pointed out to a mostly vacant parking garage across the street. But the perception remains. Eric Schiff, who works with the Fairbanks North Star Borough School District, has worked downtown for 12 years. He's seen it develop into a more modern vibe. But enticing him to the area outside working hours would still be a challenge. "I don't come downtown much. I'm a homebody," Schiff said. A couple of blocks from Second Avenue, on the corner of Cushman Street and Fifth Avenue, another old downtown building is getting a breath of new life. The old City Hall, built in 1933 and once the heart of city government in the Interior, is now the first distillery in downtown. 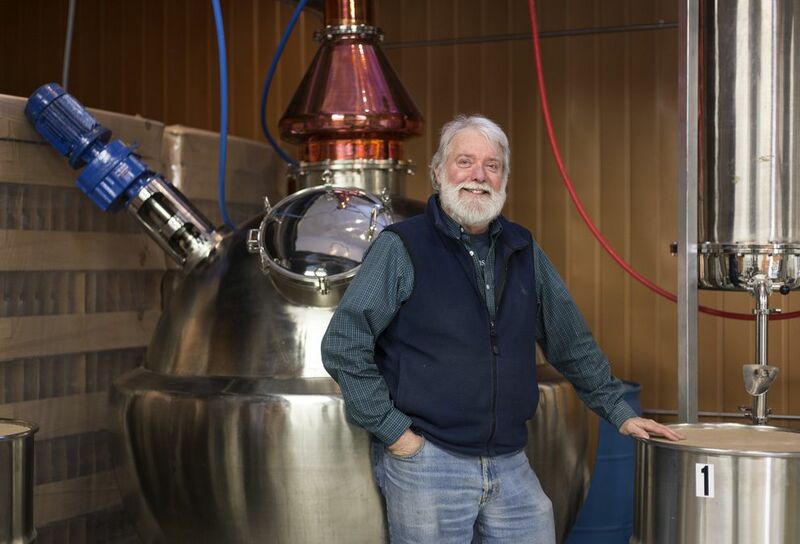 Fairbanks Distilling Co. started producing vodka made from locally produced potatoes in May 2016. Construction was underway in the front part of the building in mid-March; soon, it'll be a tasting room, said owner Pat Levy. It's a huge space, once comprising the fire and police departments, as well as housing offices for the mayor and city officials. "We're going to be aging our whiskey down in the drunk tank," Levy said. He plans to eventually grow his operation to include whiskey and gin. 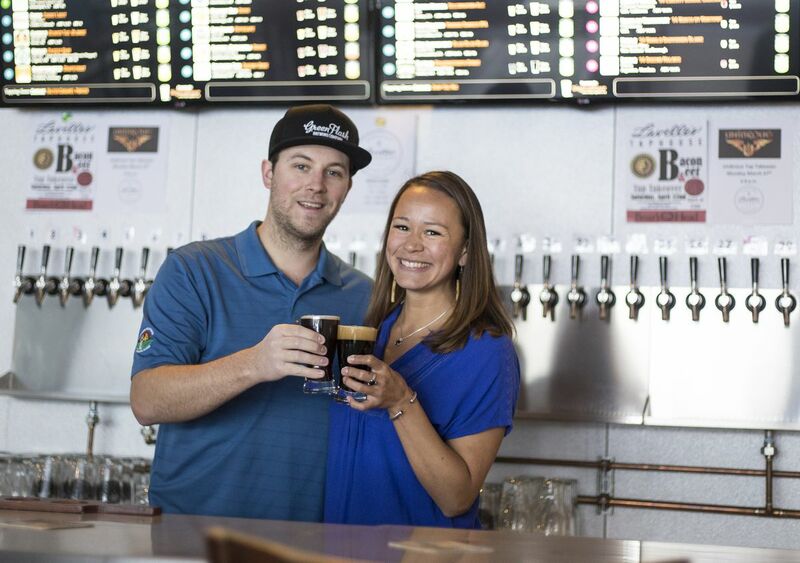 Like the Taphouse, Levy faced his own regulatory hurdles. The borough had to change its laws to allow craft distilleries to operate downtown in 2014 in order for Levy to open. Downtown is perfect for Levy. It's walkable, good for tourists. And he feels personally obliged to be here. "Downtown used to be really cool here in Fairbanks. One of the things I wanted to do was reinvigorate (the area)," Levy said. Like many urban communities, the city's core has shifted over the decades, according to Terrence Cole, Fairbanks historian and University of Alaska Fairbanks professor (Cole is also the brother of Alaska Dispatch News columnist Dermot Cole). The first burst of growth was in World War II with the military's arrival, Cole said. By the 1960s, the city was pushing against its boundaries. As in other towns, the automobile changed everything. Centralization was no longer necessary. Urban sprawl grew. And shopping centers needed parking — something downtown didn't supply, Cole said. Money poured into the pockets of pipeline workers, who fueled a massive explosion of bars downtown. By 1975, there were 18 bars and four liquor stores within several minutes' walk of Second Avenue, writes Dermot Cole in his book "Amazing Pipeline Stories." "Downtown was a wild place," Levy, the distillery owner, recounted. It was fun, but dangerous, he said. Prostitution and crime flourished. Fights broke out every morning at 5 a.m., when the bars closed. Downtown's seedy reputation made national news. Fairbanks law enforcement struggled to keep any sort of grip on lawfulness, Cole writes. By the 1980s, the city pushed back. Backed by state grants, the Fairbanks Development Authority began buying up the property on Second Avenue and evicting the bars. Negotiations with the notorious Savoy Bar took years, stretching into 1992, the Anchorage Daily News reported at the time. Levy said the city went too far. "They kind of killed downtown for a while," he said. The plan was to reinvigorate downtown with a hotel, parking and convention center. The Savoy Bar became a parking lot, and the SpringHill Suites Marriott hotel now fills the property where other bars once stood. But the convention center was never realized. "When the heart of Fairbanks kind of collapsed was after the pipeline," Terrence Cole said. In the 1980s, Alaska fell into a recession. Downtown quieted. Businesses closed. In 1989, Nordstrom shut down, a hugely symbolic loss for locals. Shoppers held unsuccessful rallies asking the city's only upscale department store to remain open, the Anchorage Daily News reported. "It went into a lull, really, for many years," Eagle-Lavelle said of the area. Now, both businesses and the major reconstruction of roads, sidewalks and bridges are bringing revitalization. More than $51 million in state and federally funded construction projects have taken place downtown in the last four years, said Donna Gardino, executive director of the Fairbanks Metropolitan Area Transportation System. Beautification efforts are rolled into the construction. Utility lines have been moved underground, no longer dangling from streetlights, which have also been replaced with a gold-rush, old-timey motif. There's still work to do, Gardino said. More roads will be renovated over at least the next five years. But the renovations come at a time when Alaska's economic future faces bleak predictions. "There's still another shoe to fall, probably," van den Berg said of Alaska's recession. But he believes downtown may have an edge. It's walkable. Sidewalks are maintained. It's centralized. "I think downtown, in this statewide downturn, is probably going to do better than most parts of the community," he said. And in 2020, an economic boost is expected with the arrival of dozens of F-35 aircraft and thousands of military personnel to Eielson Air Force Base, one of the biggest federal spending initiatives in the history of Interior Alaska. 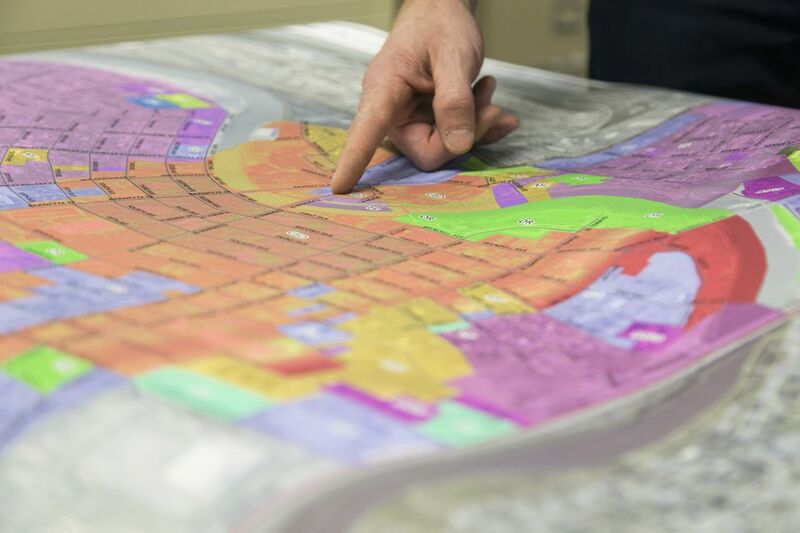 In the next few months, van den Berg will be helping draw up new plans looking to the next phase of redevelopment, along with city and borough officials. Businesses say they've considered the implications of economic downturn. Levy worries that the state's alcohol tax may rise; Eagle-Lavelle says they'll change their menu if they need to. They seem to have accepted the risks. "We're just going to roll with the punches," Eagle-Lavelle said.